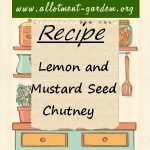 Recipe for Lemon and Mustard Seed Chutney. 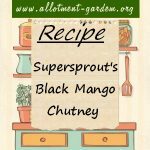 An unusual chutney, but it works really well and makes a great accompaniment for fish dishes. Recipe for Tomato Chutney. It's not just green tomatoes that you end up with a glut of but ripe tomatoes too. Use this recipe to use up some of the surplus. Recipe for Rhubarb and Ginger Chutney. Nice for using up the end of season rhubarb which tends to be a little tough. Recipe for Pumpkin Chutney. A delicious autumnal chutney that goes well with almost all cold meats, cheeses and curries. 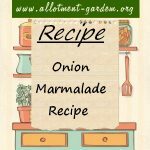 Recipe for Rhubarb Chutney. Another smashing rhubarb chutney. Takes three months to mature, but worth waiting for. 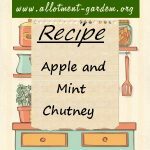 Recipe for Courgette Chutney. What to do with all those courgettes? Make a chutney with a difference, of course. Recipe for Green Tomato Chutney. Another way of using up some of those green tomatoes you are always left with! Makes about 6 lb (3 kg) of chutney.